This is Bert's big day. He is well prepared, mentally, and physically. But he might need some encouragement. 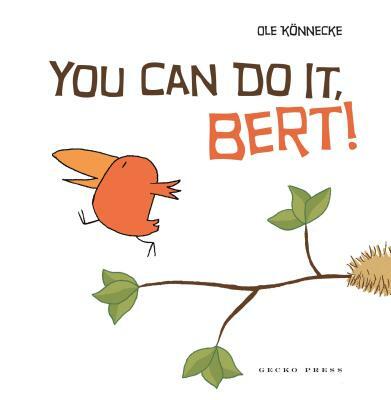 You Can Do It, Bert is a simple, funny picture book with an encouraging positive message. It's a great gift for anyone embarking on a new venture: a child about to start school, a teenager finishing high school, a college student graduating, or anyone starting a new job or going overseas.